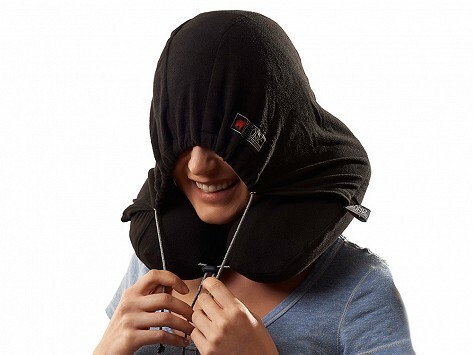 This travel pillow sports a comfy hood to help you get some shut-eye. The pillow is built with memory foam to support your neck and chin in a comfy sleep position and provides a warm fleece hood to cover your eyes. Dimensions: 11" x 12" x 9"
works nice nice when sitting in wheelchair or recliner to keep my neck aligned right. perfect for the jet setter like a friend that I gave it to. They were happy to get it. Next time you’re on the road, grab a Grand Trunk Travel Pillow. Getting some sound rest will be in the bag.